The protagonist of Chuck Palahniuk’s Fight Club is looking down at the burnt-out fridge that was just blown clean out of the window of his fifteenth-floor condo in a fire, smashed apart for the world to see. The event triggers a crisis in identity for the insomniac white-collar drone, discontent with his life of empty materialism. But for now, he’s more embarrassed at his bare fridge being exposed on a public street. 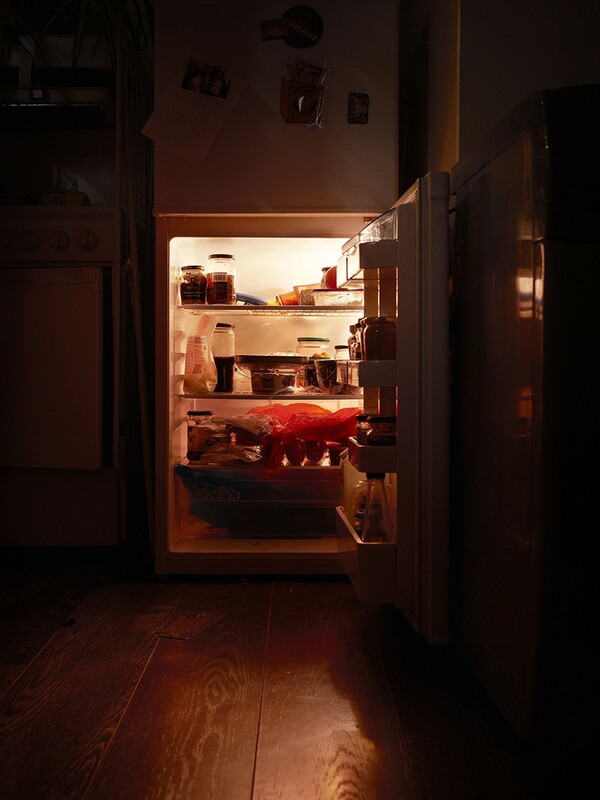 The idea of the household fridge acting as a portrait of one’s self is a compelling notion. They’re at once a private, yet hugely revealing subconscious catalogue of human nature. 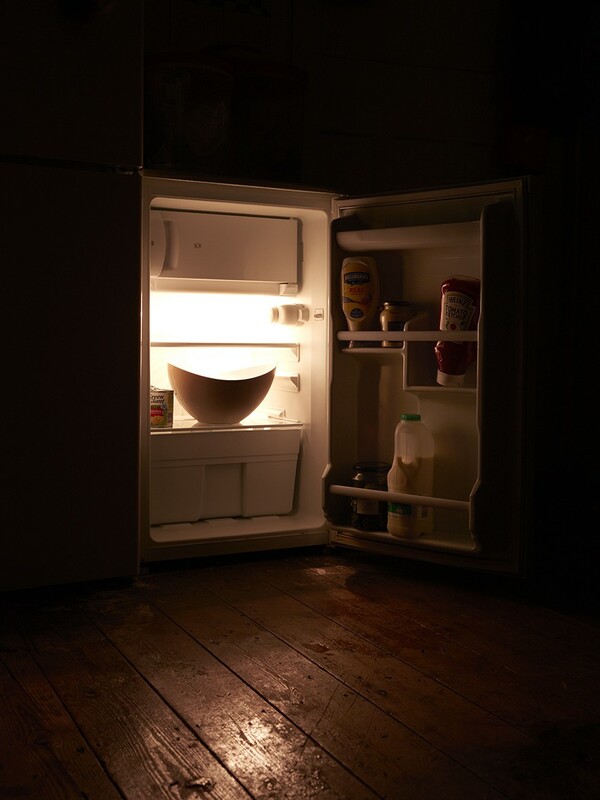 Palahniuk uses the fridge to demonstrate the essence of a soulless home, but our own fridges, each unique despite their inherent uniformity, offer a beguiling insight into how we live. 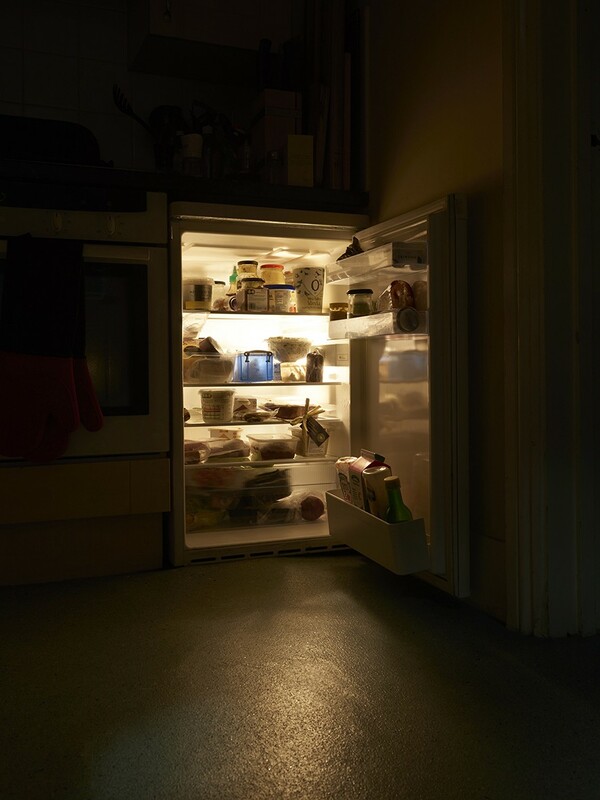 The contents and nature of a fridge can lay bare a person’s tastes, income and lifestyle. We can tell how orderly or chaotic a person is by how their fridge is maintained. It’s a portal to a person’s history and a catalogue of food memories, preferences and personality. 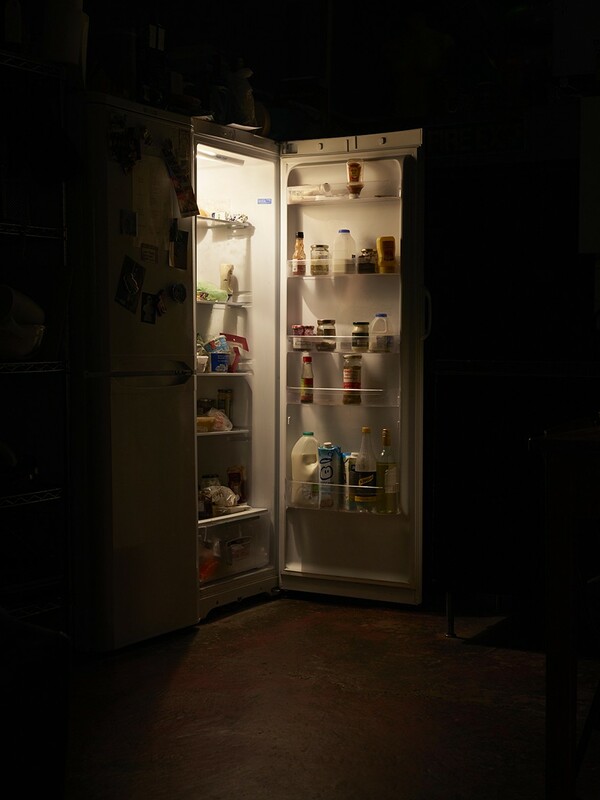 As well as the food within, the fridge itself acts as an unlikely altar of domesticity, often adorned with magnets, stickers, letters and photographs as colourful friezes to mask an identikit practical object, reassuring in its unvarying blandness. Fridges are now ubiquitous in our homes, but this wasn’t always the case. In 1948, only 2 percent of households in the United Kingdom owned a fridge, lagging well behind the USA, which embraced home refrigeration much earlier. With this huge shift in how we preserve food has come a complacency about food waste — ironically we now throw away more of it than ever. 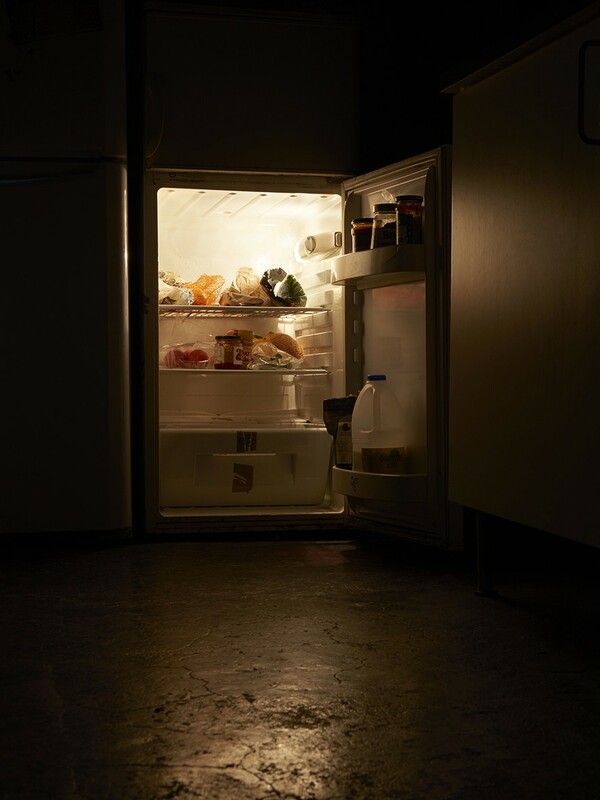 For something designed to prolong food and prevent us having to throw away spoiled ingredients, the fridge, you could argue, has lulled us into an unhealthy sense of security. As convenience culture mushrooms — self-service checkouts, restaurant food delivery, online shopping, and their corner-cutting ilk — the fridge has developed in tandem and are now so technologically advanced that they can assist us in organising our entire lives. Modern fridges come with built-in TVs for the ultimate in-kitchen comfort, can be operated by phones and tablets, can shift into holiday mode and is smart enough to know the optimum temperature to which your beer should be chilled. The Smarter FridgeCam beams the contents of your fridge to you, wherever you are in the world. This everyday appliance now aids ‘chilling out’ in a literal and figurative sense. Ninety-nine percent of households in developed countries own a fridge. In India, this figure is only around a quarter. Shifts can be big when a country’s middle-class ranks swell, like, in China, only 24 percent of people owned a fridge back in 2004; 10 years on, this had increased to 88 percent. The global average of around 80 percent is only set to grow. 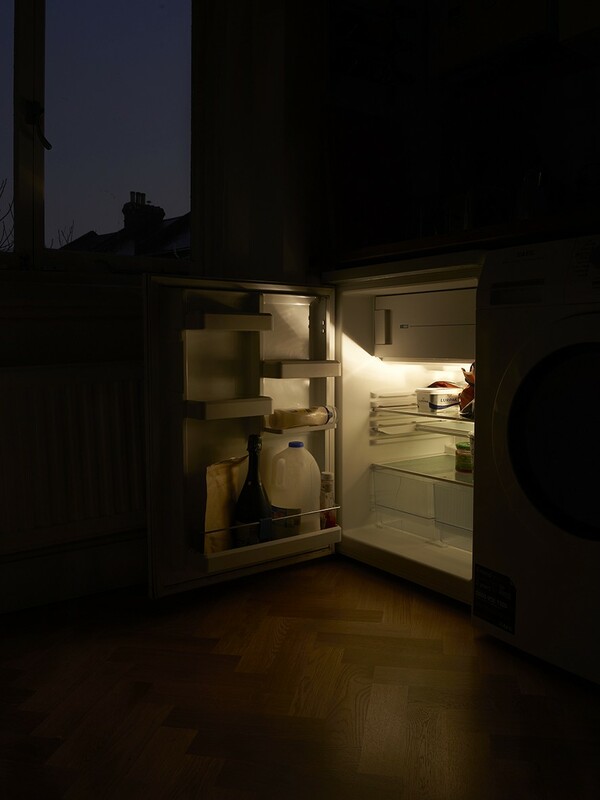 This juxtaposition of fridges as a comforter taken for granted by Western communities and an almost shrine-like object in the developing world is what led photographer Tanya Houghton to document domestic fridges in London. The result is a clandestine insight into how wildly disparate these seemingly innocuous machines can be. The warm, familiar light bleeding out into the darkened kitchens only adds to the intimacy of the project. Behind one door, we see impeccably-stacked storage containers of food, a portrait of an orderly, frugal and methodical home economist. Behind another, the shelves appear empty save for an open can of sweetcorn and a huge, mysterious bowl flanking the entire unit like a cryptic curtain. In the door of the same fridge, we see a Palahniuk-worthy array of condiments — the symptom of a home void of soul or maybe just someone who’s not done their weekly grocery shopping yet? The idea of food as a subconscious representation of ourselves is complicated and multi-layered. To some sociologists, psychologists, and anthropologists, food embodies our social status, sexuality, beliefs, religion, and emotions. 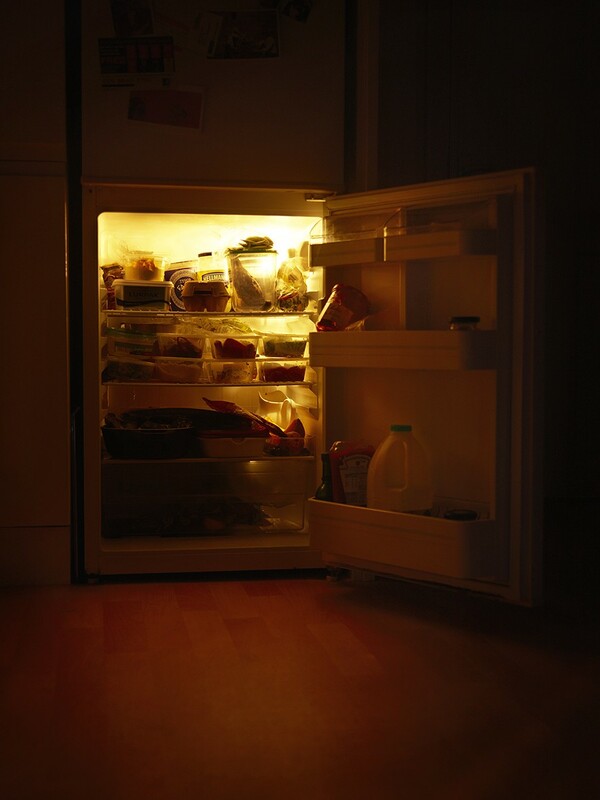 If our food subliminally speaks for us, there’s no better microphone than the fridge. It lies at the core of our food routines. If it’s empty, many of us take this to mean we have no fuel in the house at all. And, it houses both fresh essentials and items we want to keep for as long as possible. It’s the first thing we turn to when we’re deciding what to cook, searching for a quick satiation or unpacking our shopping. Refrigerator sections dominate supermarkets with absorbing blue-hued aisles. To have our own personal fridges taken away would likely cause most of us to wail a primal scream. Reflecting on our own fridge practices, it’s tempting to revert to lazy psychology and align personal characteristics (an easygoing bent, curiosity, laziness) with our regular fridge contents (half-empty jars, once-tried unusual ingredients, a hard wedge of old cheese). But, perhaps, this unlikely mirror can be a route to self-improvement and at the very least highlight bad practices we slip into without noticing. Anyone with an appetite for exploring their true identity could do worse than reflect on the subliminal, seemingly nondescript everyday practices of home life. 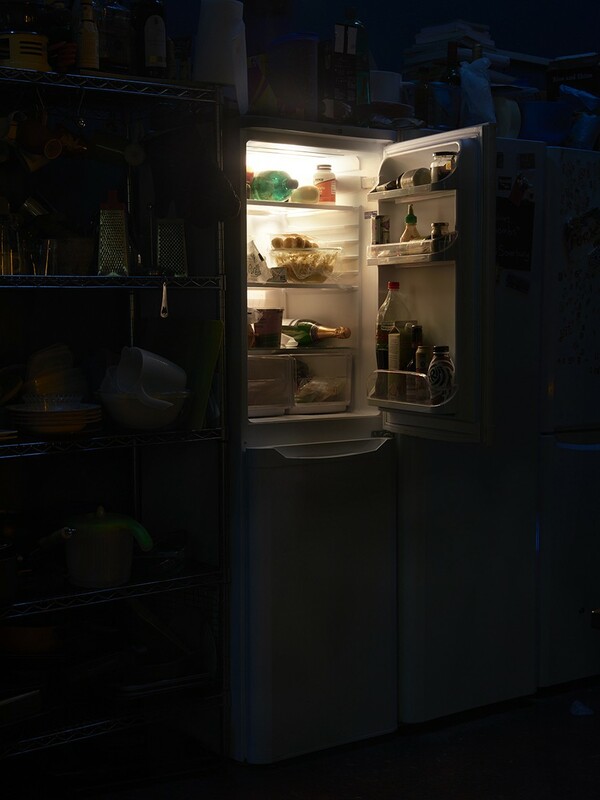 Regardless of the level of importance each individual attributes to their fridge, it can be found at the heart of the home, permanently humming its dull, soothing beat. Natalie Hardwick is deputy editor on bbcgoodfood.com. She started her career as a freelance music writer before moving into food journalism. Connect with her here. Tanya Houghton is a social documentary photographer based in London. She spent eight years assisting a range of advertising and fashion photographers before undertaking an M.A in Photography and Urban Cultures to further her own practice. Her work examines the details within the everyday, unearthing the unexpected within the familiar, it is the desire to collect and compare them which motivates her work. She combines traditional landscape and portrait photography, with conceptual still-life images created using objects from the spaces and people she works with.